The systematic demoralization of our Country began when Bill Clinton was President. 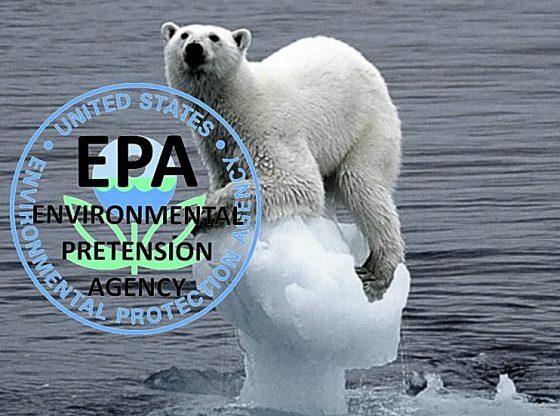 During this time, the democrats and their operatives in the environmental community launched the “War on the West.” During the Bush administration there was a reprieve from the onslaught. We were focused on the vibrant economic upswing and the Western Slope of Colorado was flourishing. In 2006, the Left caught us sleeping, or maybe we just weren’t vigilant. Democrat, Bill Ritter became Governor and the environmental wolves were unleashed on Colorado. In 10 years, Colorado has been dragged into the pit of social chaos, drug addiction and governmental suppression disfavored industries. The democrats, Hickenlooper and the Obama administration have punished the Western Slope and our independent spirit by striking at the heart of our domestic energy producers. Delta County has suffered the most. With the downsizing and closure of several coal operations, including Bowie and Elk Creek, Obama’s War on Coal has cost this county jobs, coal tax revenues, resulting in the closing of small businesses and the devastation of families and our friends. But West Slope families have all suffered hard times in the past. Our grandparents settled here and fought through the depression of the 30’s. Then our parents had to live through the crippling social unrest of the 60’s. Many of you, like me, have endured the economic crash of the early 80’s. The good news is that here in Western Colorado we’re a different breed of Cowboy. When there is a chore that needs to be done, we saddle up and ride out. When something goes wrong, we find a way to make it right. Unfortunately, this year we’ve come to a major fork in the trail. There are two signs with arrows pointing in two different directions. One of those signs points to the left, to governmental supremacy, and the deconstruction of our traditional institutions, what many call ‘Evil.’ The other sign points to the right, and says to Liberty, and the restoration of our lost promises. Making America Great Again is not just a motto, it’s a plan. Republican presidential nominee, Donald Trump is asking each of us to join him in leading our Nation back down the trail to Liberty. My cowboy nature doesn’t like to ask for help, but this is a situation where I realize you and I can’t do this alone, we need all the help we can get. We have to circle back and gather as many hands as possible to go with Mr. Trump to take the first step to save this nation. I’m reminded of the movie “The Rough Riders” with Sam Elliott and Tom Berenger. My favorite scene is when the regiment is being hammered from the shelling of the enemy, which held the high ground. Teddy Roosevelt receives the order to attack. 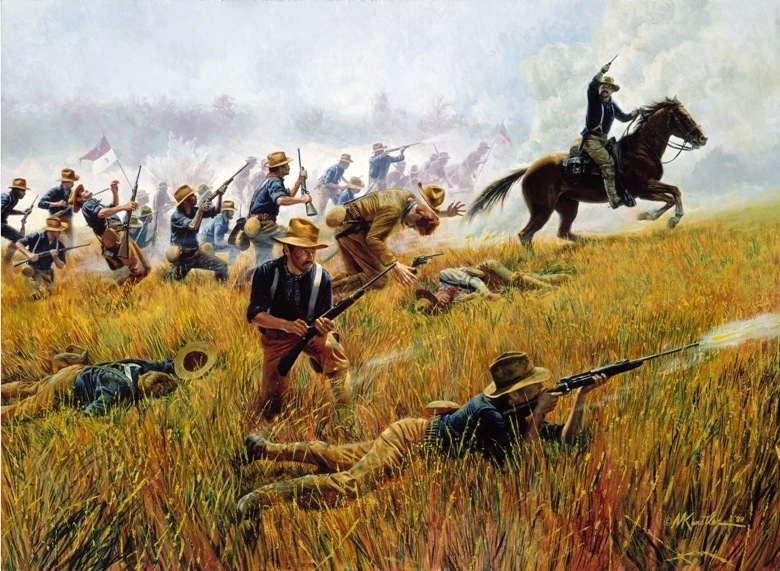 He yells, “Charge!” and Boston gentlemen, cowboys, farmers, the valiant Buffalo Soldiers, the Cuban Freedom Fighters, Civil War Veterans and all the Rough Riders storm up the slopes as one and defeat the enemy. Distractions of racial and ethnic prejudice among those men didn’t exist. Freedom won the day because the Rough Riders had one goal, one dream: to defeat the enemy and win the battle. They united, and all sacrificed to defeat the enemy. Folks, Colorado is a swing state in this election. Democrats think they hold the high ground, but I don’t think so. We all need to saddle up and ride for the Trump brand. Like all men, Donald Trump is an imperfect fellow, but he represents the hope that patriots have begun to lose in recent years; the hope that America’s promises of Liberty, clarity, honesty, and prosperity can be restored. There will be sacrifices, but the salvation of our Country is at stake. I know Mr. Trump is counting on you, just like I’m counting on you to take a stand, make a statement and let the rest of our state know that Western Colorado is going to make the difference in this election. Let’s take this Nation down the trail to Liberty and let’s tell the Democrats, the progressives, the Clintons and their arrogant, elite establishment operatives with a unified voice, to “Eat Our Dust”. Denny C. Behrens is the Chairman for Colorado Sportsmen for Trump. He currently serves as the Regional Director for Big Game Forever, and has served as Chairman of the Colorado Mule Deer Association. He is a cowboy, hunter, fly fisherman, outfitter and tireless freedom fighter, making his home in Grand Junction, Colorado.